Each year when the Judges meet it seems more difficult than ever to reach decisions and the competition becomes ever more intense. Now in its thirteenth year the annual carton award competition is now one of the most respected events of its type and the dedicated website that has been set up looking back at all the years it has been run, gets an ever increasing number of hits. This I believe shows the huge interest there is across the world in what cartons can deliver. This is not only the initial appearance but many other aspects as cartons have to fulfil a wide variety of roles. They have to protect a product through the supply chain; they have to appeal to consumers on the retailer shelf; they have to carry a wide variety of information that is easy to read; they have to be easy to open, close and use in the home and finally they are increasingly being seen by brand owners as an ideal form of advertising at the very point where the decision to purchase is actually made. 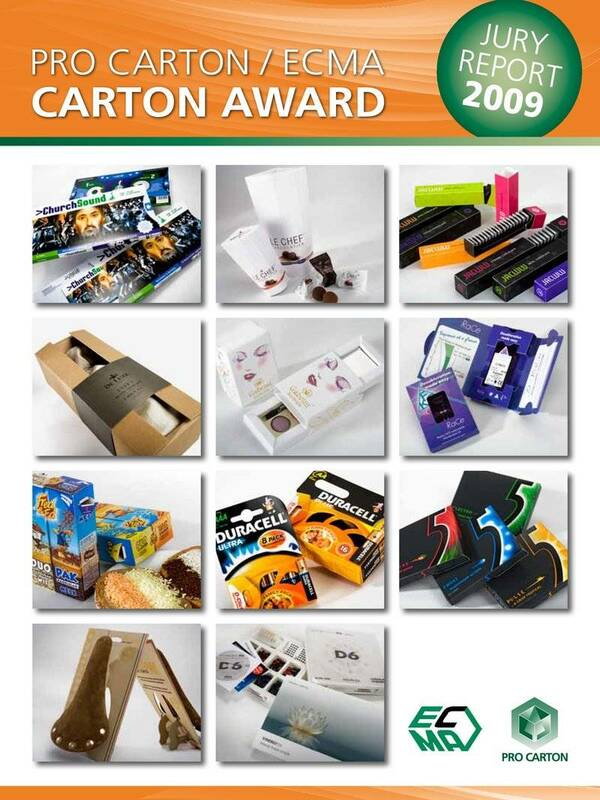 These wide variety of needs make designing and manufacturing a carton difficult but it is increasingly obvious that carton makers in Europe meet this challenge day after day after day.Innovation, flair, imagination and inventiveness are all utilised in offering the best possible solutions to packaging needs and I am grateful to all those companies who entered the awards this year for demonstrating what they can achieve. We reached the highest entry level for many years with 122 cartons being entered from no less than 12 countries and whilst the number makes the task of the Judges more difficult it is one they relish and take very seriously. I am once again grateful to them for the hard work they put in and it was noticeable this year that the discussions took longer than usual. We try, in inviting the members of the Jury, to reflect the views of all elements in the carton supply chain and so under the Chairmanship of Satkar Gidda of SiebertHead who represents the view of designers, we have Guido Brosius from Carrefour looking from a retailer perspective, Pascal van Beek of Unilever who reflects brand owner view and finally Burgunde Uhlig from Brigitta magazine who seeks to make judgements from a consumer standpoint. I am truly grateful to them all. We try to keep the awards up to date and this year added a new category. In talking to many carton makers it became apparent that cartons that are made in very high quantities were largely unrepresented and it was felt that the judgements perhaps tended to focus on the highest quality, most technical and attractive cartons. This did not truly reflect a large part of the market where cartons in their millions are produced and used everyday and so we instituted a new category for entries made for volume markets. This required cartons to be manufactured in quantities exceeding 1 million and we were pleased to have this new category and very pleased with the entries and for carton makers supporting this new category. If you need any additional information please get in touch with us.